Many older houses come with popcorn ceilings, which refers to the texture used on ceilings a couple of decades ago. Because of their texture, homeowners may find it difficult to clean and may not even know how to begin. Using too much pressure can cause small pieces to chip off, but dust also gets stuck in the texture that needs removing. This guide will help you clean your popcorn ceilings as efficiently and quickly as possible. 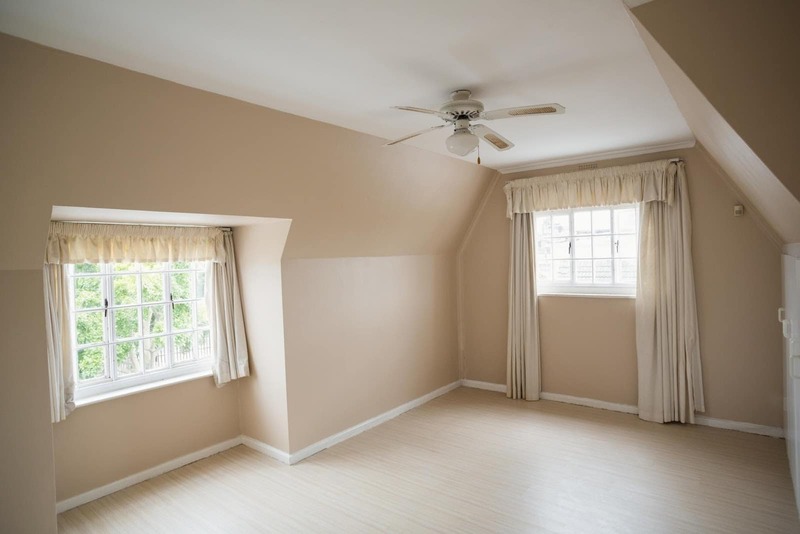 Popcorn ceilings were popular in new home constructions and renovations in the mid-1900s because they were easy to spray on, hid imperfections, and blocked out some noise. Also called a cottage cheese ceiling, stucco ceiling, or acoustic ceiling, this was a favorite material for bedrooms, hallways and, in some cases, the whole house. In the early days of popcorn ceilings, the material used contained asbestos. Once the US banned asbestos, popcorn ceilings lost some steam. Builders, however, continued to use textured ceilings in this way with Styrofoam instead. 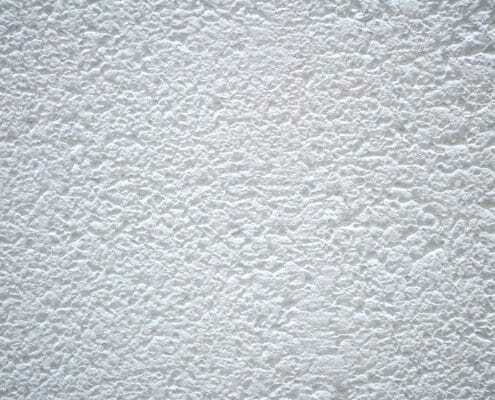 The bumpy texture of popcorn ceilings acts as a dust magnet. When dust accumulates in the ridges, it accentuates the shadows and can make it look gray and dingy. This collection of dust that may span the whole home can exacerbate allergies, so frequent cleaning can help relieve symptoms. Cleaning your popcorn ceiling at least once a year can brighten up your home, so if you’ve never cleaned your popcorn ceiling before, check out the tools and steps below. Cleaning a popcorn ceiling is no easy task, but it is a necessary one. You will need plastic tarps to cover and protect your furniture and floors from falling dust, styrofoam, and cleaning solution. A protective mask will stop you from inhaling particles that can damage your lungs. You should also wear goggles to shield your eyes from falling dust and Styrofoam. You can use a long vacuum attachment, if you have one, or use a stepladder to reach the ceiling. To make a cleaning solution, you will need a spray bottle, water, liquid dish soap, and bleach or vinegar. Make sure to have a sponge on hand to get into the nooks and crannies, and a circulating fan to dissipate the fumes from the cleaning solution. Some other supplies you may need include a broom, Wooster brush, duct tape, and a lint brush. While you probably have most of these items in your home already, you can find any extra supplies at your local home improvement store at affordable prices. Another option is to use duct tape or a lint roller to remove surface dust. Just roll over the ceiling, and the dust will stick to the tape. Although this is a useful method, it is probably the most time consuming as well because it takes longer to cover a larger area. When it comes to cleaning your popcorn ceiling, there are a few different methods from which you can choose. A mixture of all or some of them may make the process feel a bit easier and quicker. The method you decide upon will also depend on the supplies you already have in your home. 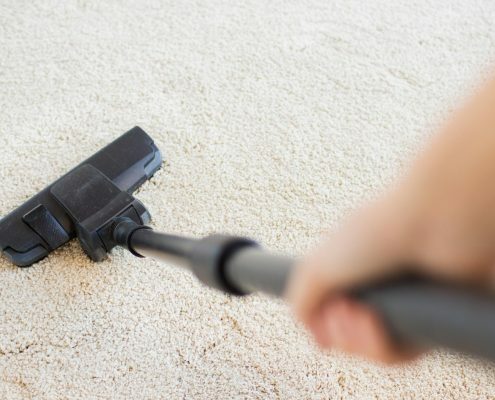 The first method includes using your vacuum attachments to clean as much dust and cobwebs as possible. Although this will likely only remove the surface dust, it will make the detailed cleaning easier. If you have one, use a wide-brush attachment. If your attachment is long enough, you may be able to do this from the floor. If, however, you need to use a ladder, use caution while cleaning and getting up and down to prevent injury. You can also clean the ceiling with a broom in a similar fashion. Lightly “sweep” the ceiling to loosen dust and let it fall on the tarps. This is when you’ll be glad for your mask! If you have grease stains on the ceiling in your kitchen, combine warm water and liquid dish soap in a spray bottle. Spray it on the stain, gently dab with a sponge or rag, and let dry. If you have mildew, smoke, or water stains, mix bleach and water in a spray bottle. Begin with one part bleach to five parts water. Lightly mist the whole area while not spraying too much in any one area to prevent further water stains. Wait for a few hours to see if it’s working and if it’s not, add a little bit more bleach and mist again. Step 1: Check for asbestos. This step is imperative because the cleaning process could potentially release substantial amounts of asbestos into the air which can severely damage your lungs. If you are not sure that your home is asbestos-free, do not attempt to clean your popcorn ceiling until you get it tested. Step 2: Prepare. Put on all the protective gear you have to prevent inhalation of dust or styrofoam. Try not to let anyone in the area that is not wearing protective gear. Mix your cleaning solution and put it in a spray bottle. If you want, you can mist the surfaces in the room with water so that the dust will settle rather than remain airborne. Step 3: Begin removing the surface dust with one or more methods discussed above: vacuuming, sweeping, or taping. Step 4: Use your cleaner to treat any stains on your ceiling. Step 5: Mist the rest of your ceiling with whichever solution you prefer. Lightly dab any unusually dusty or dirty areas with a sponge or rag. Step 6: Let dry overnight, making sure to keep the area as ventilated as possible. Now, your ceiling should look as good as new! Having a clean ceiling can look and feel great, especially if you suffer from allergies. Now that you know how to clean your ceiling efficiently, you can maintain it by doing a lighter cleaning once or twice a year. Happy cleaning heroes!